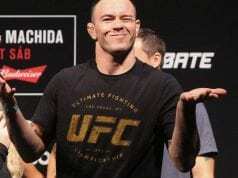 Former interim welterweight champion Colby Covington still thinks Kamaru Usman has some work to do before he is ready to challenge for a title. Usman looked quite impressive in his unanimous decision win over Rafael dos Anjos at The Ultimate Fighter (TUF) 28 Finale last weekend. UFC President Dana White was so taken back by Usman’s performance that he said the “The Nigerian Nightmare” may leapfrog Covington for the next title shot. In typical “Chaos” fashion, when he heard his boss’ comments, he didn’t even bat an eye. If Covington was bothered by what White said he sure didn’t look the part. If Covington is passed over for a title shot, he believes Usman’s case is weak. While both Covington and Usman have defeated the same two opponents recently, Colby is quick to point out the differences. Mainly how he dismantled doj Anjos and Demian Maia while Usman merely survived. “Snooze-man, his last two fights, he hasn’t beaten anybody coming off wins,” Covington said. “Don’t you think he should have to earn a fight against someone coming off a win? He just fought two guys that I’d already took their souls. Those guys were shells of their former selves because I took those guys’ souls. Covington’s most pressing issue now revolves around fighting Tyron Woodley as soon as possible. There have been rumors that the UFC is targeting the matchup for UFC 233 on Jan. 26, however, nothing is confirmed. 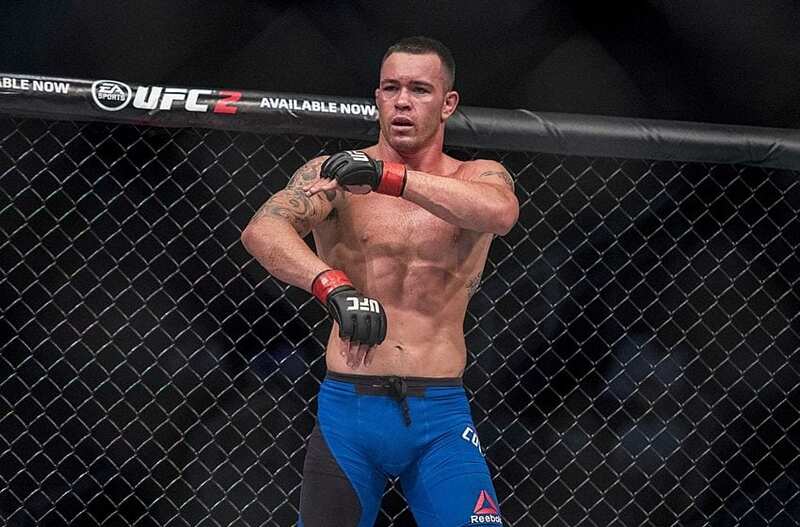 Covington did say he’s “100 percent” ready to fight, though, and if it takes place at the January event in Anaheim, Calif., he’ll relish that setting. Let us know what you think. Who should get the next crack at Tyron Woodley?